People walking from the yoga event with their mats under their arms. 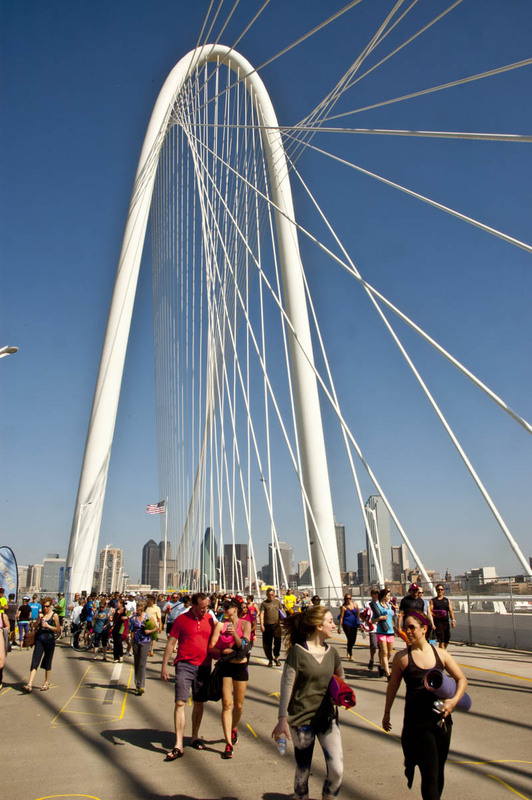 From above, the Margaret Hunt Hill Bridge – the Dallas Calatrava-designed cable-stay signature bridge finally reaching across the Trinity River from Downtown to long-neglected, oft-reviled West Dallas – is an architectural marvel of geometry, steel, and curves. It has a dirty little secret, though. It isn’t really a bridge over much of anything. It’s more of a causeway with a huge, expensive, and dramatic sculpture tacked on overhead. This is obvious when you venture into the vast stretches of the river bottoms. 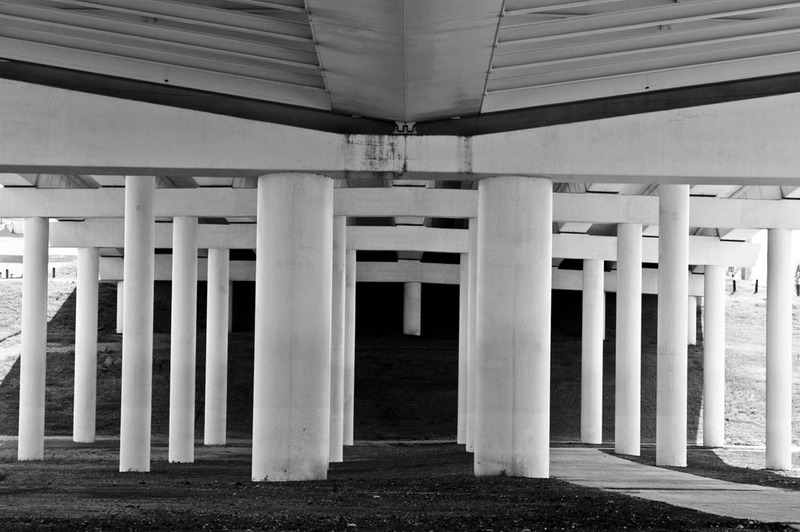 You can see the forest of columns holding up the span. But still, even there, it is a thing of beauty. A different beauty – a more muscular, less soaring beauty – but beauty nonetheless. I like it. If nothing else it offers up a vast strip of welcome cool shade. 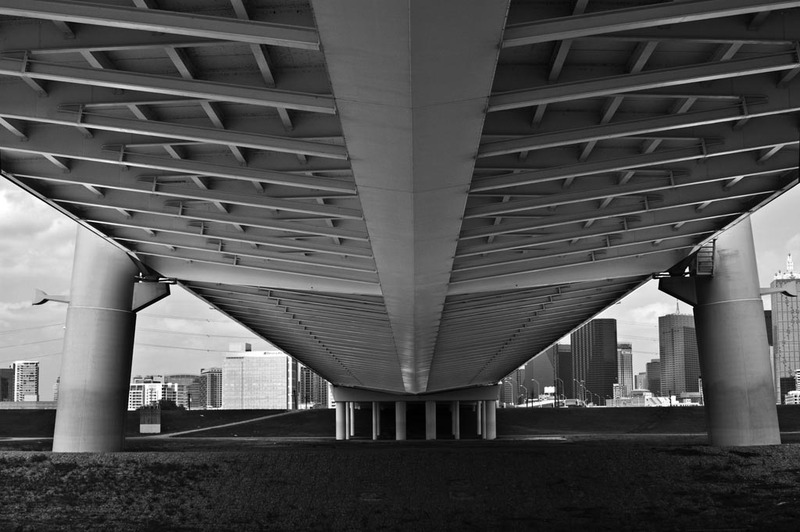 Underneath the Margaret Hunt Hill Bridge. 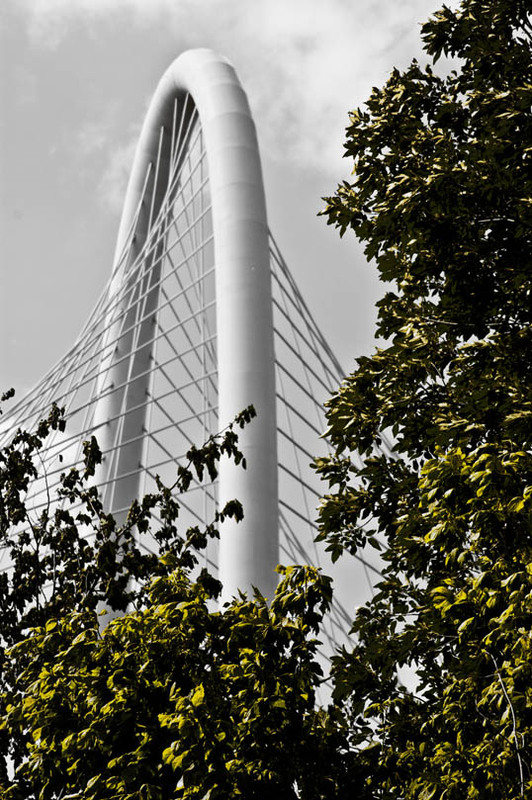 This entry was posted in Photography and tagged Architecture, b&w, black and white, calatrava, Dallas, Texas. Bookmark the permalink.